Average 4.4 / 5 out of 13 total votes. What the hell is this? What the hell happened here? How did my room become so ruined after a single night? The floor and table were covered in dust, his new poster of Zhang Liang Ying that had just been posted on the wall a few days ago had already become yellow and tattered all over. Even Zhang Liang Ying’s beautiful face became monstrous, as if an old devil was looking at him with a terrifying smile. The walls were covered by a mist of cobwebs and the fruits placed on top of the coffee table were withered and rotted to the point that the mold on them had turned black. The fruits below even seemed to have turned into mush. The aluminium framed window that the landlord had just installed not that long ago was now covered in a layer of white ash and the glass was filled with cracks and covered in dust. The computer beside his bed was also covered by cobwebs and was accompanied by an empty water glass with a withered worm inside of it. Dust filled the air making Wei Xiao Bei choke as he tried to breathe. Everything seemed to be ash gray without any light, as if looking at television static. After just one night, it seemed like everything in the room had aged for centuries or even millennia. Mother… is this a dream? 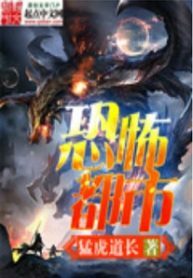 You’re reading chinese web Novel “The City of Terror” on BOXNOVEL.COM. We will have 1779 Chapters to completed this . Thanks!